IHBT Recruitment 2018: Candidates who are waiting for Jobs in Institute of Himalayan Bioresource Technology read this entire article. IHBT has issued the latest job notification for 26 Project Assistant, Senior Research Fellow Job Vacancies through IHBT Recruitment 2018. The IHBT Walkin interviews are being conducted for eligible candidates for the posts of Project Assistant, Senior Research Fellow. Therefore, interested and skilled people who are searching for IHBT Jobs may attend the IHBT Project Assistant, Senior Research Fellow Walkin interview along with Application form which is to be downloaded through the official website ihbt.res.in. Students may attend for IHBT Walkin Interview on 12th, 13th September 2018. More details like Institute of Himalayan Bioresource Technology education qualification, age limit, ihbt.res.in selection process, application fee & how to apply, important links, etc. 1.6 How To Apply For IHBT Recruitment 2018 Notification For 26 Project Assistant Posts? People have to fill the 26 vacancies for the post of the Project Assistant, Senior Research Fellow. So the official organization of Institute of Himalayan Bioresource Technology has mentioned the IHBT Recruitment 2018 selection process, IHBT Project Assistant, Senior Research Fellow application fee, how to apply to this Institute of Himalayan Bioresource Technology Vacancy For Project Assistant, Senior Research Fellow Recruitment all the details are equipped in the further sections. The aspirants can apply for the IHBT Project Assistant, Senior Research Fellow Application Form. The candidates can download the IHBT Recruitment 2018 application form after that fill it with accurate details and take a hard copy of it. Candidate need to attend the walkin interview on 12th and 13th September 2018. 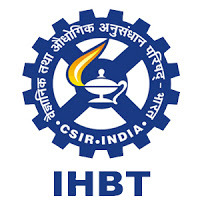 For full information about this IHBT Recruitment 2018, we have provided with the direct link at the end of this page. By following our website freshersnow we provide all the regular updates. Senior Research Fellow – People should have done Master Degree in Zoology / Biology with 55% marks and two years of research experience. The selected candidates will get Rs.14,000 – Rs.25,000/- from the organization. How To Apply For IHBT Recruitment 2018 Notification For 26 Project Assistant Posts? Eligible and skilled candidates may appear for IHBT Recruitment 2018 Walkin interview along with the duly filled application form in prescribed format. Along with that people should carry the self-attested copies of their testimonials of age, educational qualifications, experience, reserved category certificates, etc. and original documents for verification. To know more updates keep in touch with our web portal Freshersnow.com for all other latest recruitment notifications.